This is my first time writing for this year, as I have been away at Air Force Officer Training. This meant that I was exposed to a wide array of leadership theories, training, and assessment. This isn’t actually true, although the military does have a clear rank structure, and leadership is generally more authoritative in style. This is necessitated by the nature of the work that we do, and as a result leaders are often the ones who receive accolades, awards, and recognition. Given all of that, imagine my surprise when our Commanding Officer (CO)—an unbelievably experienced, inspiring, and impressive leader—walked in and told us that leadership is not about commanding others to serve us, but is in reality about serving those we lead. Now this isn’t about leadership style per se—I’m not saying that Christians must adopt or reject models such as autocratic or democratic—this refers more specifically to the others-centred heart with which we should approach leadership as a whole. As a side note, I’m aware that not everybody is in a formal leadership position. However, I would contend that everybody has an informal leadership role in a workplace, church, home, or friendship group. We all have the opportunity to influence others. Anyway, my CO’s words seemed radical—leadership is not about prestige, positions, honours or respect. It certainly is not about using followers to get those things. Instead, leadership is an honour itself, as we have the opportunity to lead, train and educate people to accomplish tasks, and to equip them to achieve greatness beyond what we could ever achieve ourselves. Leadership not about us, but about the people we are fortunate enough to serve. Leadership is about people, not positions or power. Radical stuff, especially in the military context. But should it be radical? Probably not. Certainly from a Christian perspective this should be the normative experience and expression of leadership. Because surely as Christ-followers, our model should be Christ Himself. Although Christ’s primary ministry was living and dying as our vicarious substitute, paying the penalty for our sins and reconciling us to God, He also serves as the perfect model for humanity. His example should shape all of our beliefs and practices, including leadership. As we look at some key examples from Christ’s ministry, I truly believe that His style resonates loudly with that of leading through servitude. Here Jesus flips this far-too-common notion that one should strive for promotion and adulation, explaining that servitude is at the heart of true leadership. Maybe it’s time to bust out the pumice stone for those you lead? Finally, Christ equipped His followers to continue and expand His ministry. It is vitally important in leadership to recognise that your role is to equip and lead others to the point that they can actually surpass you and leave a greater legacy than you could have alone. We see Jesus displaying this attitude in John chapter 14, verse 12: “I tell you, whoever believes in me will do the works I have been doing, and they will do even greater things than these, because I am going to the Father.” Now, Jesus isn’t saying that we are more powerful than Him, but He recognised that on earth, He was limited by time and space, and would eventually depart. Therefore He equipped a number of people to continue His work. Similarly, the most powerful legacy we can leave is to equip others to achieve more than we could alone. So I think my CO had it right. God has given us an incredible privilege in influencing and leading others. He calls us now not to domineer and control these people, but to serve them, guide them, mentor them, and grow them so that they can not only be effective in whatever role they are in, but can also achieve far greater things in the future. Serving others is our raison d'être. 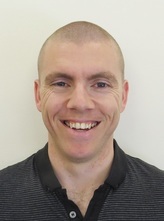 Haydn Lea is an Ordained Minister, and is currently serving as an Air Force Chaplain in Adelaide. He is married to Shamsa Lea, is the father of Amira, and loves running, boxing and studying history and theology. While striving to be a selfless, servant leader, he has been known to throw around a quick knife-hand or two when necessary.